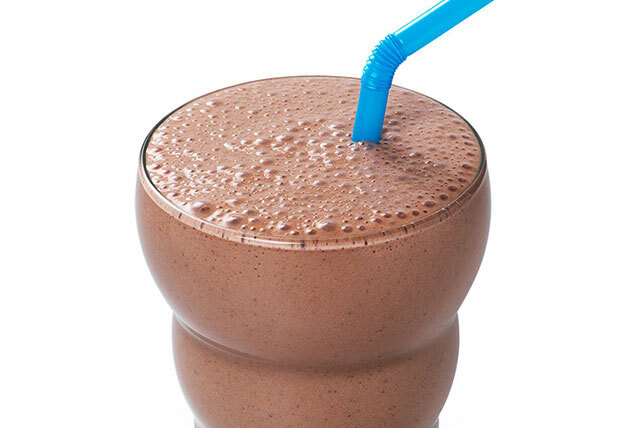 Make enough pudding milkshakes for a crowd with help from chocolate pudding mix. Our Healthy Living Easy Pudding Milkshakes are ready in just 5 minutes. Pour milk into blender. Add dry pudding mix and ice cream; blend on high speed 15 sec. or until well blended. Prepare as directed, using 2% or whole milk, regular JELL-O Instant Pudding and your favorite flavor of regular ice cream. Prepare as directed, using JELL-O Vanilla Flavor Sugar Free Fat Free Instant Pudding. Garnish each with a dollop of thawed COOL WHIP Whipped Topping just before serving.